Renowned for his innovations in minimally invasive surgery, Dr. Gustavo Stringel has enjoyed an extensive career in pediatric surgery. In addition to his surgical responsibilities, Dr. Gustavo Stringel has held a seat on the Board of Trustees of the Society of Laparoendoscopic Surgeons (SLS) for the last 10 years. He has also served as the board’s president.On December 14 and 15, 2013, the Society of Laparoendoscopic Surgeons will hold a MultiSpecialty Fellowship Summit at the Florida Hospital Nicholson Center in Orlando, Florida. Events include a dinner and lecture at the Bohemian Hotel, as well as a series of lectures and labs at the Nicholson Center. Lecture subjects will include virtual surgical instruction, telesurgery, telementoring, teleproctoring, and surgical simulation. The summit provides a great opportunity for fellows to network with colleagues and learn from an illustrious faculty. Fellows chosen to attend will receive admission, lodging, and a travel stipend. 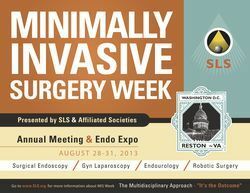 For a schedule of events and an application form, visit the SLS website and navigate to the summit’s webpage at laparoscopy.blogs.com/multispecialtyfellowships. A renowned physician, Dr. Gustavo Stringel joined the Maria Fareri Children's Hospital in 1994. He serves as Surgeon in Chief and Director of Pediatric Surgery and Minimally Invasive Surgery. He is also Professor of Surgery and Pediatrics at New York Medical College. In addition to his pediatric and surgical expertise, Dr. Stringel studied at the University of Massachusetts Amherst Isenberg School of Management, where he received his MBA. He has written and co-authored more than 80 publications and has presented more than 100 times to local audiences and to international arenas. Dr. Gustavo Stringel is a graduate of Centro Universitario México and Universidad Nacional Autónoma de México, respectively. Dr. Stringel pursued his post graduate training in Canada. He completed an internship at St. Michael’s Hospital, followed by a residency in surgery at the Gallie Program of the University of Toronto and a fellowship in pediatric surgery at The Hospital for Sick Children in Canada. Dr. Gustavo Stringel has received certification in pediatrics and surgery from the American Board of Surgery. Within the United States, Dr. Stringel is licensed to practice medicine in Texas, Florida, and New York. He is also an Advanced Trauma Life Support Instructor for the American College of Surgeons. An innovator in the field of laparoscopic surgery, Dr. Gustavo Stringel currently serves as Surgeon in Chief, Chief of Pediatric Surgery, and Director of Minimally Invasive Surgery at Maria Fareri Children’s Hospital in Valhalla, New York. As a researcher, Dr. Gustavo Stringel has investigated the topic of pediatric laparoscopic gastrostomy, among many others.The gallbladder, a pear-shaped organ sitting under the liver, stores and releases a digestive fluid known as bile into the small intestine through the common bile duct and cystic duct. Cholesterol and other substances in bile can form hard particles called gallstones, which typically produce no symptoms. However, when the gallstones block a duct, they can cause biliary colic (acute abdomen pain) or cholecystitis (gallbladder inflammation). A cholecystectomy, or gallbladder removal, is sometimes the best option for treatment.Although surgeons perform both open and laparoscopic cholecystectomies, the latter procedure results in a shorter hospital stay and a speedier recovery for uncomplicated cases. 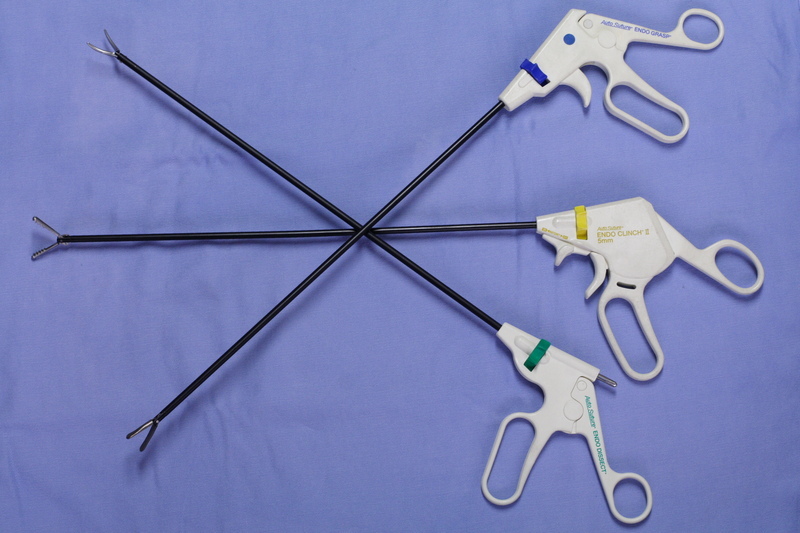 For a laparoscopic cholecystectomy, the surgeon makes four small incisions in the abdomen and inserts a nozzle into one slit to inflate the abdomen with carbon dioxide. This step, along with the insertion of a scope fitted with a light and video camera, helps the surgeon see the area more clearly. Guided by the video monitor, the surgeon places instruments into the other slits to remove the gallbladder. The procedure lasts one to two hours. With more than 900 attending physicians and 3,300 healthcare professionals, Westchester Medical Center delivers industry-leading advanced medical care in specialties and services ranging from, but not limited to: cardiovascular diagnostics, cardiothoracic surgery, vascular surgery, vein treatment, neurosciences, neurosurgery, neuro-psychology, neurovascular intervention, heart, liver and kidney transplants, advanced obstetrics and gynecology, robotic surgery. We are a Level I Trauma & Burn Center; are a nationally recognized bariatric surgery center. Westchester Medical Center is also home to one of the most technologically and clinically proficient advanced imaging centers in the region.